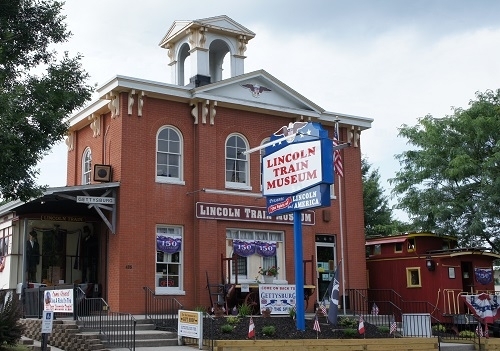 Welcome to the Lincoln Train Museum where we present the Spirit of Lincoln and the history of our nation. 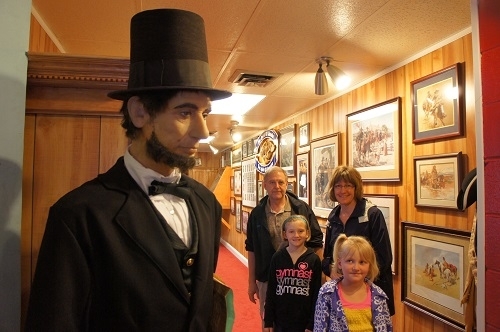 In our Hallway of American History you will walk with President Lincoln through the history of our nation from the days of our founding fathers through present day. 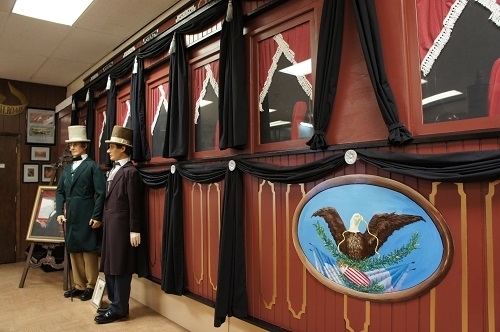 Our museum presents President Lincoln's Funeral route from Washington DC to Springfield Illinois in operating layout including an audio/video presentation of the experience as well as American History Collectibles and our large model train collection which features an interactive operating train layout. Finally you will ride our simulated Funeral Car United States with the Spirit of President Lincoln as he pays tribute to those who made our nation great and asks future generations to KEEP THE AMERICAN SPIRIT ALIVE! Bring the entire family, fun for kids of all ages! General Information: Dates Closed: Closed Thanksgiving Day, Christmas Day and New Years Day, Hours: June & July 9am-9pm; April & May and August, September, October & November 9am-7pm Sunday - Thursday, 9am-9pm Friday & Saturday; December - March Thursday - Monday 10am - 5pm. Last show one hour prior to closing. Winter hours subject to change. 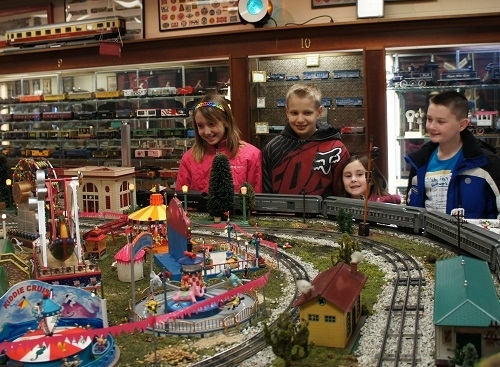 Welcome to the New Lincoln Train Museum! 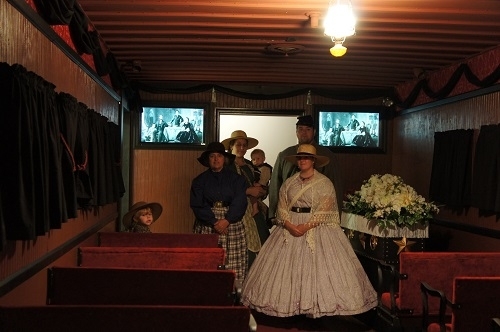 Ride our simulated funeral car "United States" with the spirit of President Abraham Lincoln. We welcome friends in Period Dress! Thank you to all Gettysburg Civil War reenactors!